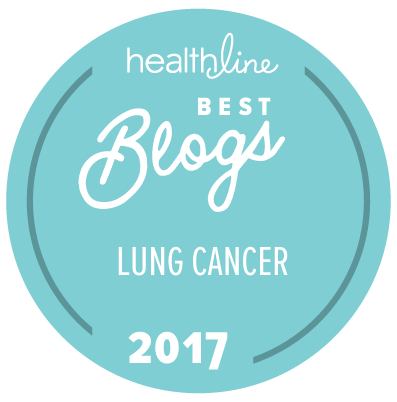 Home » Advocacy » Why Aren’t Never Smokers Screened for Lung Cancer with LDCT? Why Aren’t Never Smokers Screened for Lung Cancer with LDCT? As you’ve probably heard, 25% of lung cancer patients worldwide are never smokers. Like all lung cancer patients, the majority of never smoker LC patients are diagnosed with metastatic lung cancer, even though they often have no real symptoms. How come lung cancer screening guidelines don’t suggest never smokers get screened for lung cancer? Well, it’s all a matter of risk reduction. Medical practitioners (and those who pay for their services) do not like to run a medical test when the patient might be put at risk for little benefit. This is a concern if a test is not 100% accurate and follow-up procedures for a positive result are potentially invasive. This is the situation with LDCT screening. With today’s technology, a lung cancer diagnosis can only be confirmed with a biopsy, which is invasive and does carry some risk. And, lung biopsies are not guaranteed to detect a cancer, even if one is present. Lung cancer screening with low dose CT might generate a false positive (meaning the test says the patient has lung cancer when they really don’t). False positives could result in unnecessary invasive follow-up procedures with some risk to the patient. For this reason, LDCT screening is only recommended for those who are at HIGH RISK for lung cancer. At this time, “high risk for lung cancer” means current or past heavy smoking history and age 55 to 75. These risk factors were not chosen due to stigma or discrimination. To date, these are the only two risk factor scientifically demonstrated to have a HIGH correlation with lung cancer in several studies. A very large clinical trial (the National Lung Screening Trial, or NLST) showed people who had these risk factors were likely to benefit from lung cancer screening with LDCT despite the risks of false positives. For these patients at high risk for lung cancer, the benefits of screening outweigh the risks. LDCT screening reduced their lung cancer deaths by 20% compared to screening with x-rays, simply by detecting the lung cancer before it spread and getting it treated early. By the way, NO deaths due to LDCT screening occurred in the 53,000+ participants enrolled in the NLST. Since lung cancer occurs in a low percentage of the never smoker population, the risk of screening doesn’t make sense for never smokers unless they have another high risk factor. We know of other risk factors associated with lung cancer–radon gas in homes, air pollution, previous cancer treatments (especially radiation treatment to the lungs), exposure to certain hazardous materials, even an inherited gene. However, analysis to date hasn’t shown any of these factors have as strong a correlation with lung cancer, possibly because it’s harder to track those risk factors in a controlled study. As we learn more about how lung cancers get started, and how they differ from each other, we are likely to discover more HIGH risk factors that can be validated by objective analysis. This definition of “high risk” and this method of screening are just the first steps in early detection for lung cancer. As more high risk factors (like the inherited version of the T790M gene) are validated by objective studies, people who have those risk factors should also be included in covered lung cancer screening, whether or not they have a smoking history. As more accurate and less expensive lung cancer screening technologies become available, testing will become more accessible to everyone. Someday–hopefully in our lifetimes–accurate lung cancer screening will be as easy as a blood test or spitting into a test tube, without the need for a biopsy. So keep supporting more research! We need accurate, affordable early detection of lung cancer in never smokers. This entry was posted in Advocacy, Clinical Trial, Lung Cancer, Lung Cancer Screening, Patient Advocacy, Research, Stigma and tagged LDCT, Lung Cancer Screening. Bookmark the permalink. One more risk factor, aside from invasive follow-up procedures, is radiation exposure. Even low-dose CT scans is the equivalent of 15 traditional x-rays, and as you allude to in the post, exposure to radiation increases long term cancer risk. Yes, screening does increase radiation exposure, but the radiation generated by a low dose CT is about half of what a person typically absorbs from the environment in a year. I hope there will soon be an easy , low cost way to screen for lung cancer. Sort of like the current smear test for colon cancer. Hi Janet….I just wanted to tell you…I am so impressed with you!…I have followed you on Inspire,as well as here…you INSPIRE me…I know you are doing some work with Michele……great lady!…I was dx April 2013. Stage 2B LUL…Cisplatin/Gemzar…at the time I had 2 nodules in R lung,as well……every 3 mth scans…..so far they have stayed relatively stable. I am debating on whether to have something done about them NOW rather than later. My team says No…watch and wait…too small to biopsy 9 mm and 5 mm…anyway,just wanted to say Hi and keep up the amazing work you are doing…..we need an advocate like you!